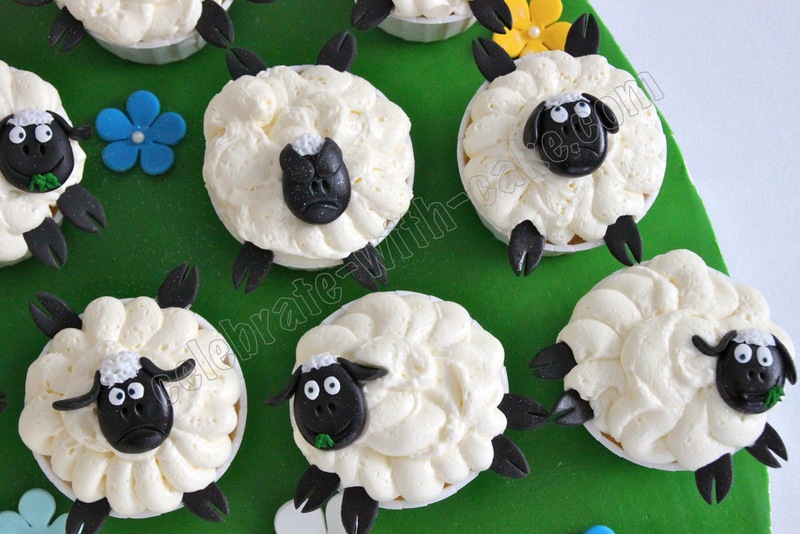 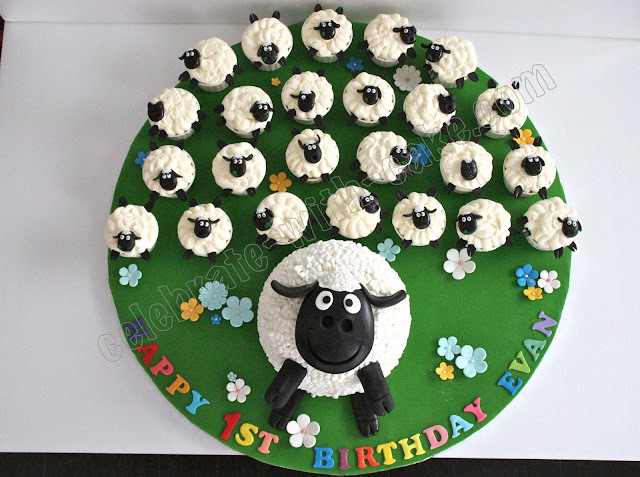 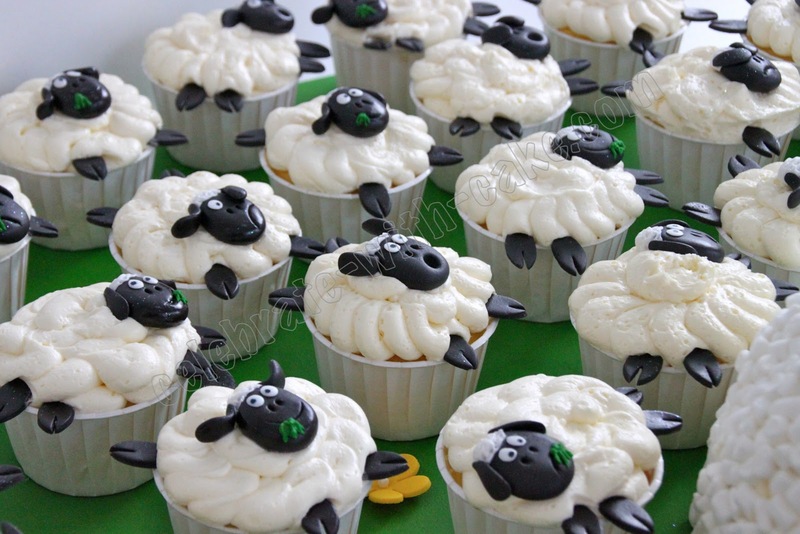 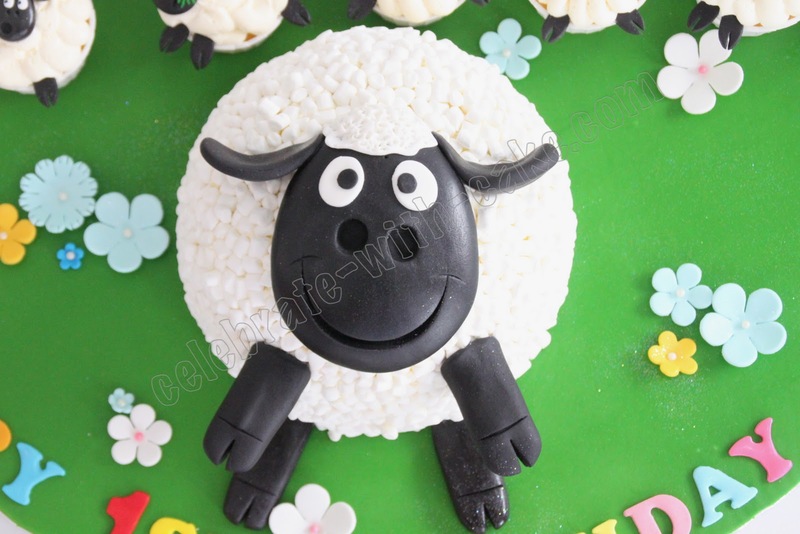 D dropped us a mail after coming across our previous sheep cupcakes, and got us to make this ensemble for her little guy's first birthday bash at home! 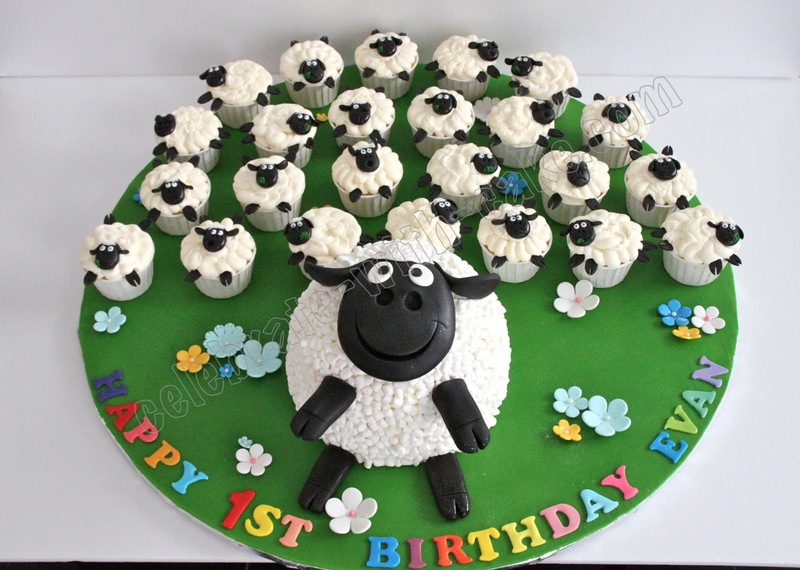 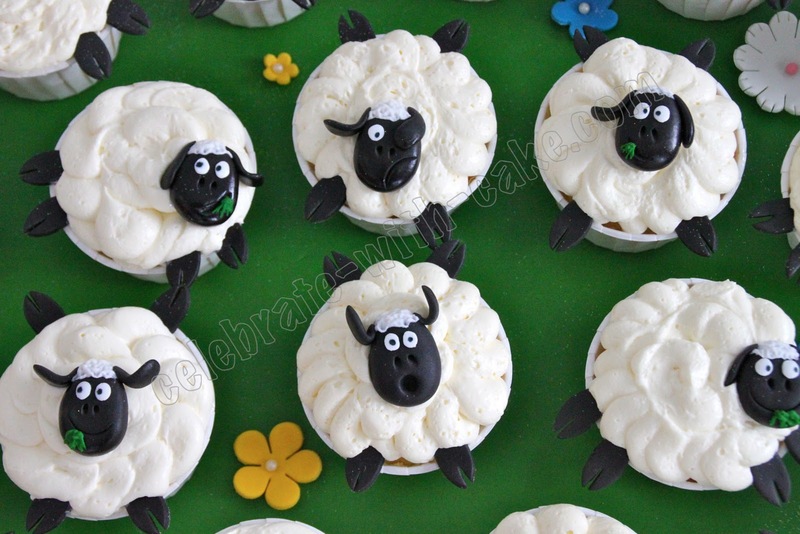 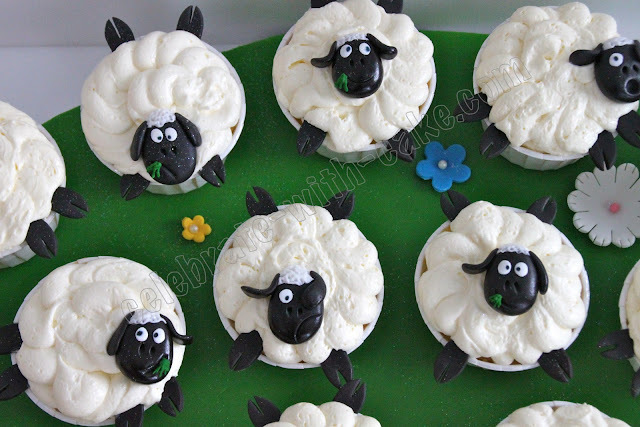 She gave us the idea of having a flock of sheep being "led" by one leader where the flock were cupcakes, and the leader was the main cake! My kids loved the leader sheep, but i have a suspicion that its because the leader sheep was covered in mini marshmallows! 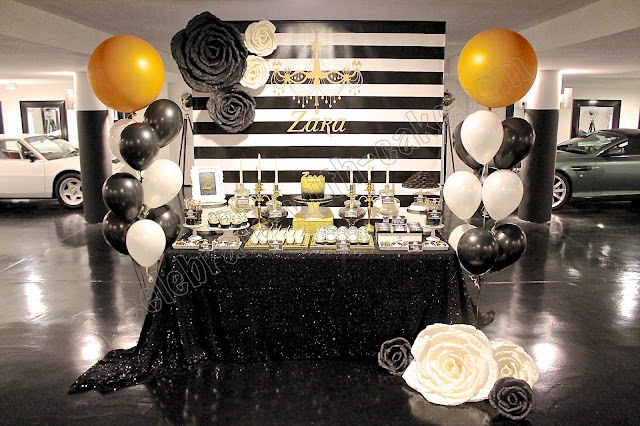 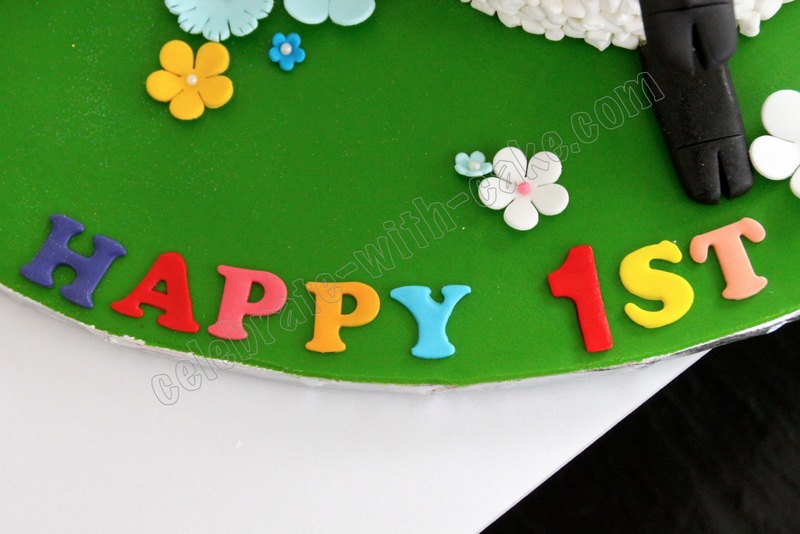 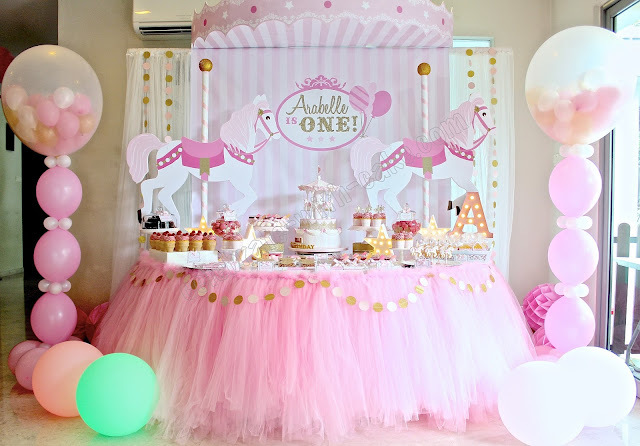 Main cake was red velvet and cream cheese, the cupcakes were a mix of vanilla with vanilla and lemon with lemon.